In light of these events, it seemed there were several questions that we should ask Kostas, and so we did. Hi Kostas! 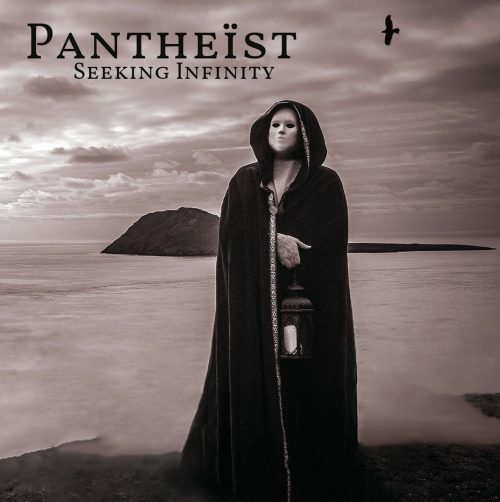 After seven years of silence Pantheist have new full-length album, Seeking Infinity. Previously you recorded albums on a more or less regular basis. What slowed you down? Greetings Aleksey, and as ever, I am delighted to talk to you! It was a number of factors that slowed us down; mostly this had to do with an unfortunate sequence of events, where a number of band members either relocated abroad, or to another city far away, and their replacements didn’t always work out. We ended up working with four different guitarists at different times after the release of the self-titled album, and of course each guitarist brought a different sound and philosophy with them, so basically, we had to re-write the album three times! The album was ultimately recorded with an entirely new lineup compared to the previous self-titled album. Did the new members take part in composing this material? Saying this, I should admit that it’s wrong to name Daniel Neagoe as a new member, as you have played in his project Clouds. I only played in the first Clouds album, which was released back in 2014. But to answer your question, yes, everyone contributed to the end result. Frank [Allain] and I co-wrote a few tracks (he is not completely new; I’ve known him for years and he has played live with us in the past); Aleksej [Obradović] contributed to the programming of “1453”, and Dan produced the album, so it was pretty much a team effort. Despite the new members in the band, the album continues the musical ideas of Pantheist. What new things did you try on this album? As we had a completely new line-up, we didn’t particularly try to do something totally new. It was a given that the album would come out different than most of our previous work anyway! The idea was to make a heavier concept album, and perhaps to partly return to our heavier roots (without completely forsaking the progression that took place in between). It was really important for us to make a Pantheist album that most people who have liked us in any of our previous stages of evolution would appreciate, and I think we have succeeded. How did you work together at the studio? And where did you record Seeking Infinity? Priory Recording Studio again? Unlike the previous two albums, which were recorded and mixed at Priory, this time we chose to go completely DIY. Dan is on a learning curve as a recording engineer, he has already done some high-quality work with both his own projects and other bands, and he engineered the album himself. This was the first time since the 1000 Years demo that we didn’t have a recording budget by a label; we recognize the fact that times for underground artists are changing, so we had to take the risk and try out the DIY option. Luckily it worked really well for us, and next time it will be even better with Dan more experienced, and in possession of better equipment! The album was released by Melancholic Realm Productions, and as I guess, that means DIY production indeed. I bet that you easily could find a proper label for Pantheist. That’s correct, we didn’t even consider it this time. After having worked with labels for years, I was satisfied I could do the same job as effectively and keep full control of our output within the band. As discussed earlier, times are changing in the music ‘industry’, and this is not necessarily a bad thing for underground artists. You only need to have a bit of a following and know a thing or two about marketing your music to them, and you can do it yourself. Most of Pantheist’s works are thoughtful concept albums. Well, okay, I’m thinking of Amartia and Journey Through Lands Unknown. What kind of idea connects all the songs on Seeking Infinity? The only concept album we have done before this album, is Amartia. I like to make the distinction between a “concept album” and a “theme album”. The first has a clear story from the beginning to the end; the second explores similar themes in the lyrics without necessarily telling a story. I think Journey Through Lands Unknown and O Solitude fall in that second category. Seeking Infinity is a concept album based on a 64-page story I had written, which interested parties can read here: http://pantheist.co.uk/wp-content/uploads/2018/09/KPanagiotou_EventsBook.pdf (the lazy ones can just read the summary on page 66, haha). It tells the tale of a professor who travels back in time in order to understand the shape of history. Instead, he gets trapped in the time machine and becomes one with the Universe itself. It’s a rather pantheistic concept and I had very ambitious plans about making this album a holistic audiovisual experience based on this concept, but due to external circumstances and line-up issues in the band, I ended up basing the album only loosely on the story. How important is the spiritual part of your creativity in Pantheist? Do you feel your music as a reason for or rather as a result of your own development? Yes, I absolutely see making music as a spiritual process. There is much magic to be explored in the world and the universe itself, but unfortunately most of us don’t have access to it as we are trapped in average jobs and financial constraints that prevent us from taking the time to explore these wonders. All we have left are the little moments in our daily life, and this includes music which injects some magic into our world. I like to see myself as one of the people who are responsible for creating this magic and take my task very seriously. I can lose myself for hours in the process of creating a combination of words and sound that will take people for a while outside the limitations of daily existence. You’ve played with Pantheist for about 18 years. Do you still feel the necessity to perform your music live after all these gigs before a small number of people in venues? I am not someone for playing live the whole time, that’s for sure. I’m one of those people who prefer to have a day job, and only be a rockstar on the weekends 😉 With the exception of a few years where we did some small tours, we usually play 3-5 gigs a year and I am fine with that. I have no problem playing small crowds; in fact the atmosphere is usually better in front of 50 maniacs at a small, cozy venue with intense atmosphere as opposed to 500 disinterested people at a bigger festival! I’m not sure why doom bands long to be playing in front of massive crowds — surely you don’t start playing this music in the hope that your mum, dad, and uncle will turn up to support? Extreme metal, and especially extreme doom, is designed to piss off and repulse the big crowds rather than attract them. By the way, how has the situation with gigs in the UK and EU changed from your point of view? Do people visit gigs willingly or are half of the crowd members of others bands? Now when it comes to the changing relationship between the UK and EU here (presumably you refer to the impending Brexit) there have already been some casualties of tour promoters of Europeans bands refusing to book their bands for UK gigs due to the uncertain situation of the moment. Closer to home, the promoter of Doom Over Edinburgh (where we played at the first edition) stopped organizing the festival because of the same uncertainty. Overall, however, I don’t know what the long-term impact will be of all these developments. You had Landskap to express your classic rock influences. What are you going to do with it now that the band is no more? Good question! I would love to have another band where I continue to explore my passion for classic, prog, and psych rock. Any interested parties are hereby invited to get in touch! 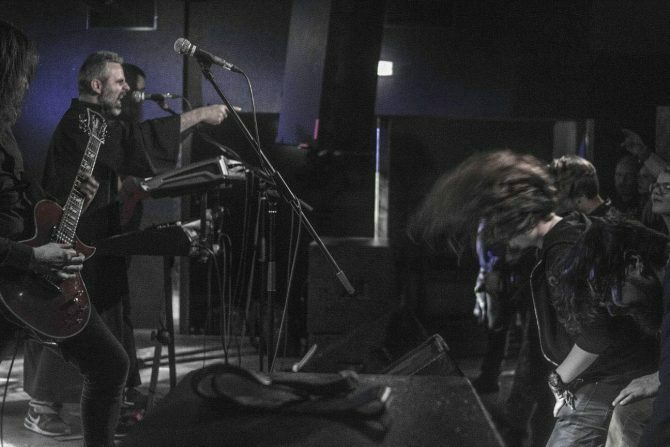 One thing is for sure, Pantheist will always have some prog influences, but will also always remain a doom metal band in the first place. 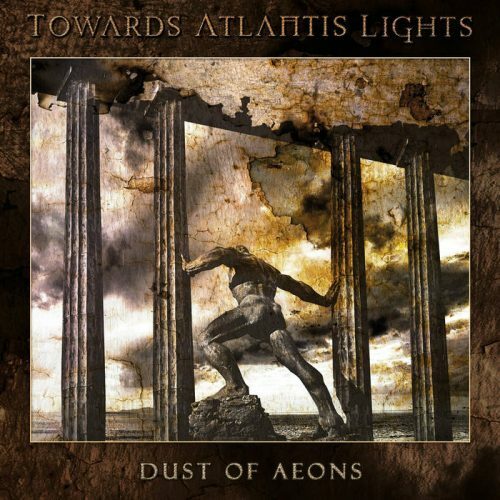 One of latest releases with your participation is Towards Atlantis Lights’ album Dust Of Aeons. What’s your part in this project? How were you involved into it? This was a project started by Ivan Zara from Void of Silence, who eventually drew other musicians to it. I was asked to compose the vocal lines and keyboards, even though the tracks were pretty much already composed. I really enjoyed the process, and felt I had plenty of freedom to express myself. 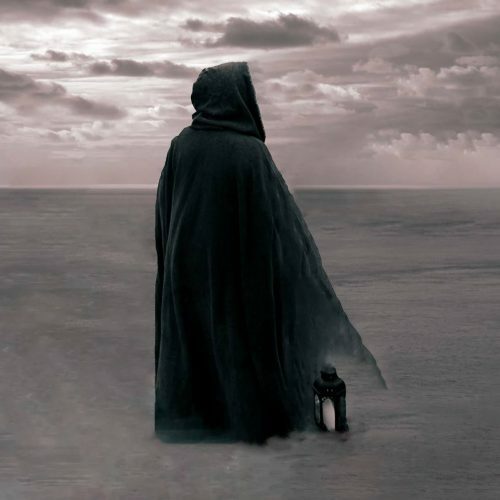 It also gave me a new-found interest in exploring ancient (occult) history in my lyrics, and I look forward to start working on the second album soon. Does Towards Atlantis Lights plan to perform live? Clouds is a kind of international project too, but Daniel somehow did gather most of its members and did a tour at least once. No, there aren’t such plans. I don’t think Ivan has ever played live. I personally wouldn’t have the time and motivation to perform live with two bands playing in a similar style anyway. I did it a few times (like, e.g., in the aforementioned Clouds and Aphonic Threnody) but it was mostly to do a favour to friends. Kostas, you have a solo project, and I’ve heard nothing new about it since June 2016 when you released the EP Chapters. What’s its status? 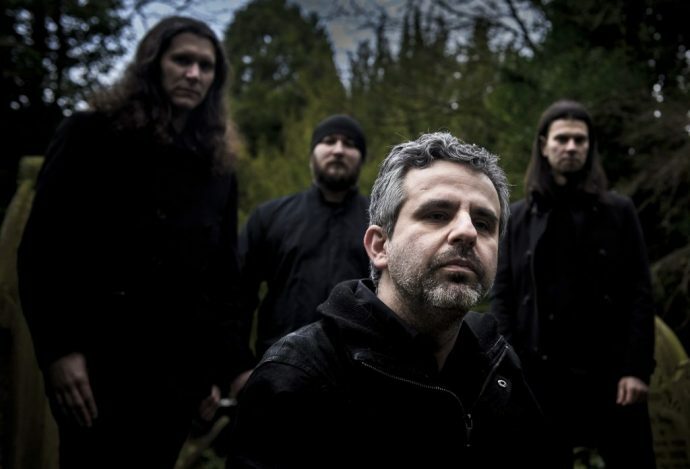 The Chapters EP was designed to be a fundraising project for the new Pantheist album. For me the idea of engaging with the fans was equally important as the fundraising itself, as we had a lot of delays and line-up problems in the 5-6 years or so after the release of Pantheist, as mentioned above. While the idea was originally that the whole of Pantheist would be involved with this EP (and the whole ‘Events’ project) I had to change my plans as I said above because of the lack of stability in the band. Hence the fact it was released as a solo project rather than a band. I really like the freedom of expression when working solo, and have done so on a number of occasions, as one can see from my personal discography here: https://pantheistuk.bandcamp.com/. My latest project was creating the soundtrack to a Flemish spaghetti western by my friend Alexander Decommere (responsible for the ‘Be Here’ videoclip) called This No Land. No doubt I will continue composing solo stuff in the future, but it’s unlikely they will be linked to Pantheist in any shape or form!